Originally released for mobile devices, Draw Your Game from developer Zero One is now available for PC. 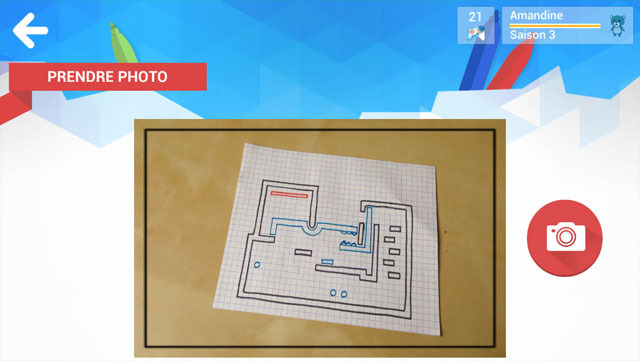 The game allows you to draw levels on a piece of paper and take a picture to have the levels rendered into playable form. Different colors create different types of objects, with black acting as solid walls and floors, blue for objects that you can push, green for bouncy things, and red for deadly objects, and these levels may be shared online. Players can play a game where they destroy red objects by pushing blue ones into them, or a game where they try to find a way off the page to escape the level. The game is now available for Android via Google Play and PC via Steam.